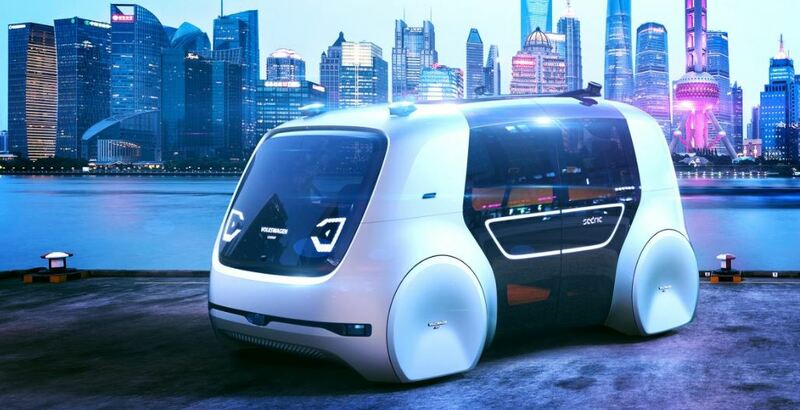 During March of 2018 at the VW Group Night in Geneva, Volkswagen unveiled their futuristic concept for school travel. Named SEDRIC the idea is that the way forward for school transport is on-demand shuttles. These shuttles would collect the kids from home and deliver them straight to school without any safety problems. This would leave the parents with the feeling of satisfaction that their children are protected on their commute, not to mention more time to do other things. The spokesperson for Volkswagen developed this statement further by saying that the company had been making big strides with the SEDRIC concept since its first showing at the Geneva Motorshow 2017. The idea that a self-driving vehicle would be a perfect solution to update and extend the school bus service is a real possibility. The ideology behind the technology is that by using self-drive technology it can afford individual mobility that can be applied anywhere whatsoever and is available to all. The vehicle displayed at the VW Group Night operated at the touch of one pre-programmed button, with an interior designed for the transportation of kids. At the touch of a button the vehicle opens up it doors, enables the child to enter, then closes the doors and the electric vehicle does the rest. The destination is pre-programmed and the vehicle will not let the child out until safely arrived and the vehicle is stationary. The means that the daily school run can be undertaken both safely and simply. The electric concept vehicle shown had a revolutionary design but large proportions. It consisted of robust interior pillars with plenty of internal space. Obviously as a self-drive vehicle there is no need for a driving licence! The paintwork was a striking bright yellow resembling an American School Bus with sufficient graffiti that identifies the vehicle as a school transporter. The whole concept is to provide a youthful and funky look, that dresses up a robust and safe vehicle. The seats are in a configuration that can be changed from two to four, and are made from Aluminium boxes. The windscreen is in the form of a OLED screen which allows for onboard information and entertainment keeping the children interested on their commute. Thus seemingly shortening the time for the young students on the way to and back from school. The theory of self driving buses and school transport wนเas further displayed by the recent demonstration by Mercedes Benz self-drive bus on a 20km drive through the center of Amsterdam. The era of self-drive vehicles is not too far away, and taking the theory further into the safe transportation of children seems on the face of it an excellent idea. It takes the risk elements out of many problem areas of transporting schoolchildren and gives the parent and school far better protection and confidence. There is no reason whatsoever that this sort of technology cannot be linked to the current tracking software systems available such eCoachManager. If you would like to find out more how eCoachManager logistics solution works then contact us and speak to one of our friendly advisers.